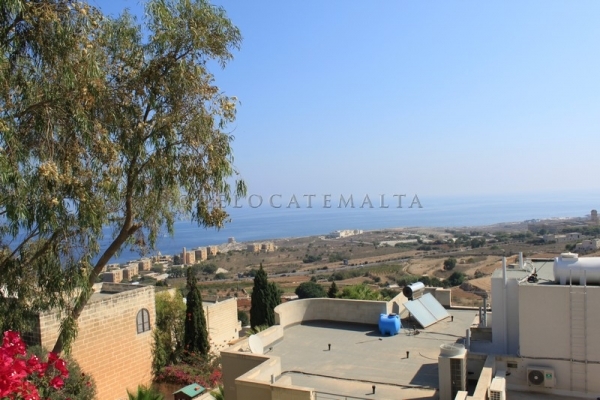 Fully detached villa having a footprint of approximately 600sqm area. 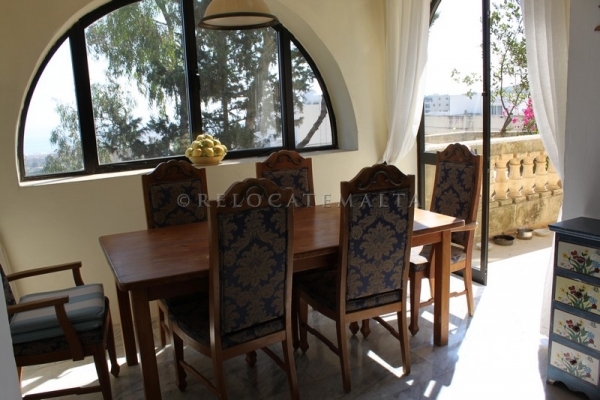 Situated in a quite cul-de-sac in Madliena and enjoying views from almost every room. 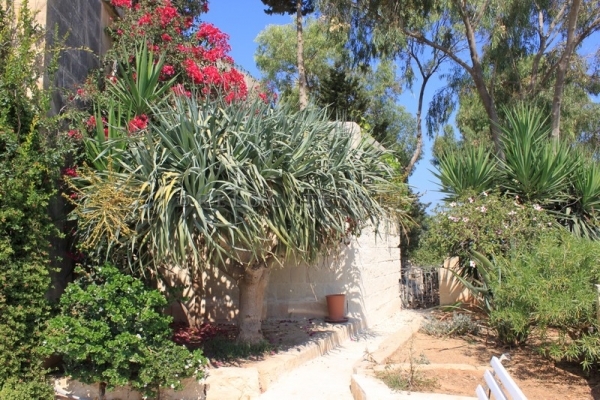 A mature garden surrounds the whole villa. A pool measuring approximately 30sqm is served with a 100sqm deck area and a pergola serving as a shady outdoor dining/BBQ area. 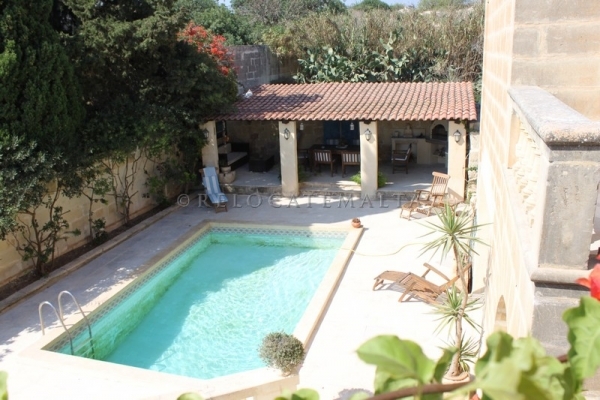 A truly family home with a beautiful garden surrounding the villa. Ample space for the cocktail parties by the pool or for the family fun. The entrance hall leads to the formal reception area with terrace on one side and to the separate dining area which overlooks the pool area. 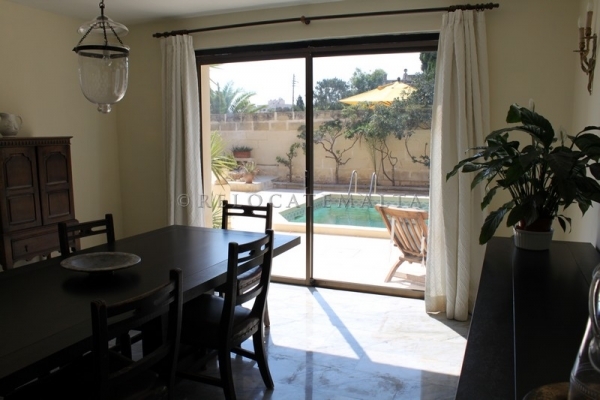 Following is an open plan kitchen with breakfast area, dining and sitting area. 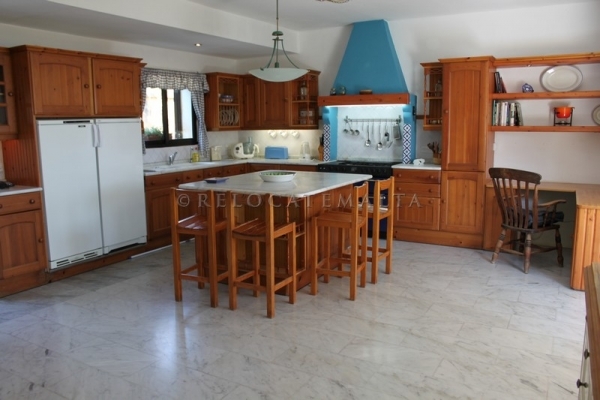 The kitchen is fully equipped with large island as a breakfast area. 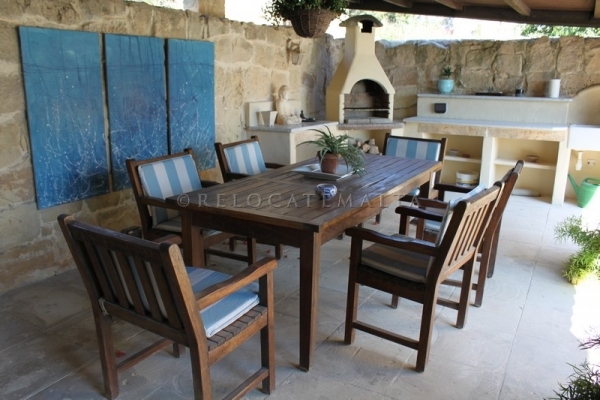 Then dining area gives the feeling of indoor/outdoor dining. 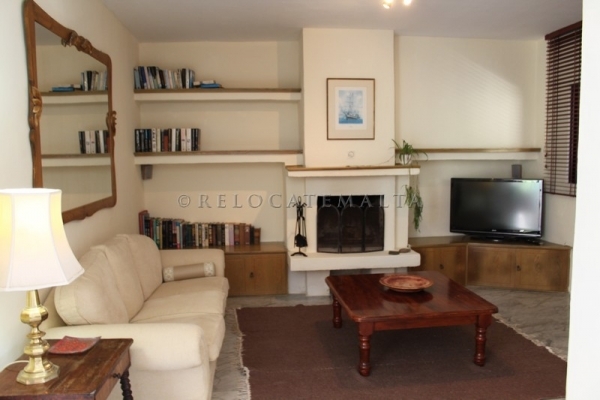 The large family room with log burning fireplace and TV. Toilet serves this floor and its also accessible from the pool area. The sleeping quarters are on the first floor. All bedrooms are en-suite. Then master bedroom has a large verandah which enjoys views. 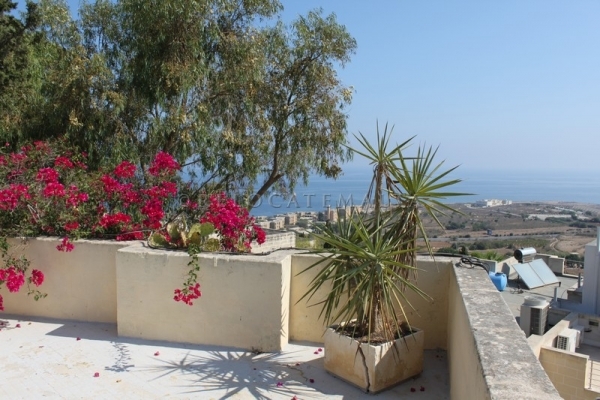 The spare double bedroom is also served with terraces enjoying views. The spare twin room has an en-suite bathroom. 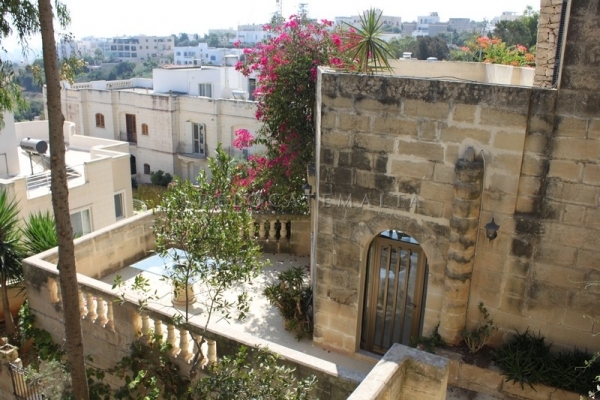 An original stone spiral staircase leads to the roof terrace and wash-room. 2-3 carport and 1 lock up garage. Log room and store room at basement level. 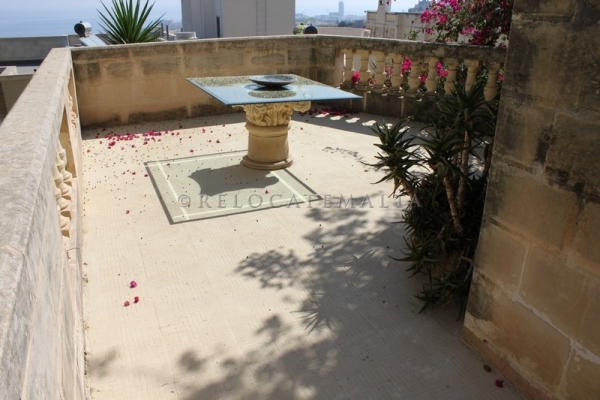 TOTAL PROPERTY AREA - 600sqm footprint. 300 sqm internally. Both areas are approximately. HALL - Entrance hall . Measuring - 1.5M. x 3M. RECEPTION - Formal lounge area enjoying views and leads to terrace . Measuring - 6M. x 4M. LIVING AREA - Open plan lounge area with fireplace and ATV area, dining area enjoying views and kitchen. . Measuring - 8M. x 10M. DINING AREA - Separate dining area overlooking pool area . Measuring - 4M. x 5M. KITCHEN AREA - Open plan lounge area with dining area enjoying distant views and fully equipped kitchen. BEDROOM - Master bedroom with private terrace and ensuite bathroom. Views from the terrace. . . Measuring - 7M. x 7M. BEDROOM - Spare double with privte terrace and ensuite shower. Views from the terrace. . Measuring - 4.5M. x 5M. BEDROOM - Spare twin with ensuite bathroom. . Measuring - 4M. x 4.5M. BATHROOM - Ensuite to the master bedroom . Measuring - 2M. x 4M. BATHROOM - Ensuite to the spare twin bedroom . Measuring - 2M. x 3M. SHOWER - Ensuite shower to the spare double bedroom. . Measuring - 1M. x 2M. TOILET - Served the living area and the pool area . Measuring - 1M. x 3M. WASHROOM - At roof level with washing machine and tumble dryer. . Measuring - 3M. x 3M. FRONT TERRACE - Private to the master bedroom. SWIMMING POOL - Private pool with a large deck area	. Measuring - 8M. x 3.5M. 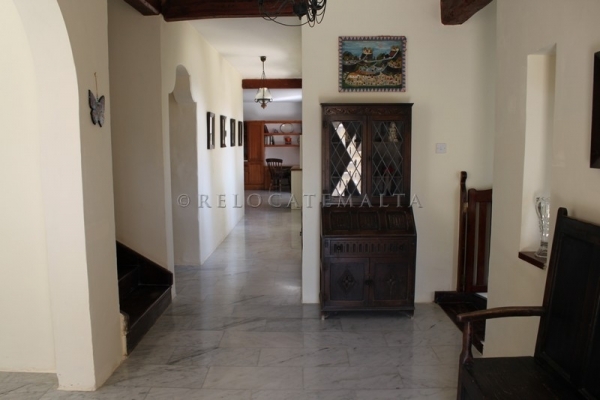 The villa is built in 1980s but it has been constantly maintained. 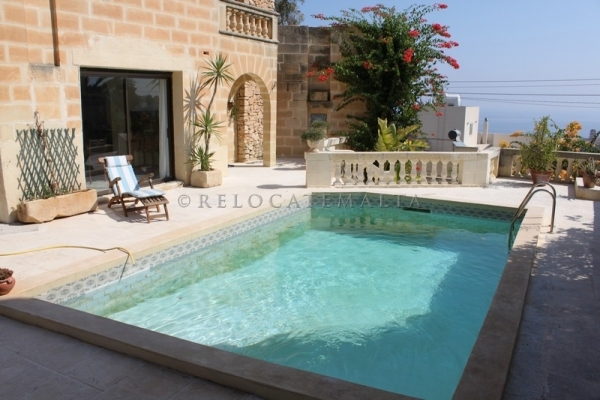 Built and designed as a traditional Maltese farmhouse with limestone and cobbled walls. Fully air conditioned and served with potez-heater. Solar water heater. The kitchen is fully equipped. 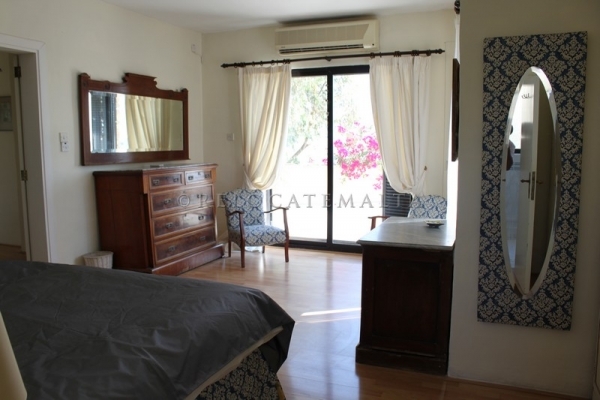 The living areas have marble flooring and the bedrooms have laminate flooring. Log room and store room at basement level. The use of maid and gardener facilities are compulsory both not included in the price.